Bringing a new puppy or kitten into your home is always something to celebrate. They add energy and fun and are a source of unceasing affection as they bond with you and your family. A complete physical exam includes detection of potential congenital problems and covers any topic you'd like to discuss. This is your new pet and we know you have many questions. 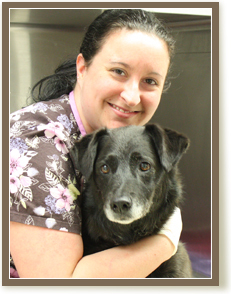 We offer senior and geriatric care for pets 7 years of age and older. Some of our regular screening tests for senior pets include blood work, urinalysis, blood pressure measurement, chest x-rays, and abdominal ultrasound. By taking the time to learn more about the special needs of your senior pet, you've taken the first step toward providing the best care for your friend's golden years. The aging process can be slowed and managed through proper medical care, thereby offering your beloved pet an extended period of vitality and good health. Additionally, preventive care tailored to your pet's age, lifestyle, risk factors, and other elements can help prevent common diseases and help detect them at early and easily treatable stages. Dr. Siegel sees rabbits, guinea pigs, hamsters, gerbils, and pet rats and can treat many of their common medical problems. He also spays and neuters rabbits. For more complicated issues, Dr. Siegel ensures that your small beloved pet is well taken care of by one of our trusted specialists in the area. Because it is often difficult to determine if an exotic pet is ill, we recommend physical examinations twice a year to check for health problems plus annual monitoring to check for nutritional and husbandry-related conditions. Sometimes one of the frustrations of dealing with a sick pet is that you cannot simply ask him or her what is wrong. When your pet is not well, we perform a thorough examination. Diagnostic tests may be necessary in order to identify the medical condition. All the veterinarians at Attleboro Veterinary Clinic are knowledgeable and have expertise in diagnosing and treating complex internal medicine cases such as kidney, heart, respiratory, immune-mediated, and endocrine diseases. All of these can indicate a serious dermatological or allergic reaction to allergens such as fleas, pollen, dust, and various foods. If you notice any of these issues it is important that you bring your pet in for an evaluation because if left untreated they can become severe medical concerns. We take the time to explain your pet's condition, how to prevent future occurrences, and the proper method of home treatment. The diagnosis of cancer is stressful for pet owners, and the prospect of chemotherapy treatments can be equally as difficult. However, the fear that your beloved pet will spend his or her final days sick from chemotherapy treatments is often unwarranted. Pets respond much differently to chemotherapy than do humans. We treat pets with many types of cancer which can involve surgical removal of tumors. 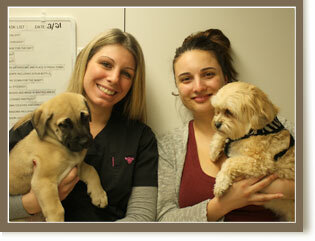 Any follow-up chemotherapy or radiation warrants referral to one of our veterinary oncology specialists. If referral treatment is not an option, we offer simple, low-cost, and low-impact care to keep our patients as comfortable as possible for as long as possible.